While perusing the posts over at the fabulous sciencefictionstyle blog (I insist you go check it out immediately), I was drawn to this wickedly funny etsy find. Get it for $325.00 at Fountainhead's Etsy store. And don't feel sorry for him, I'm pretty sure from that malevolent glare, this was an evil unicorn. is there such thing as an evil unicorn???? You must have taken a wrong turn if you didn't find the puppies and rainbows in there. 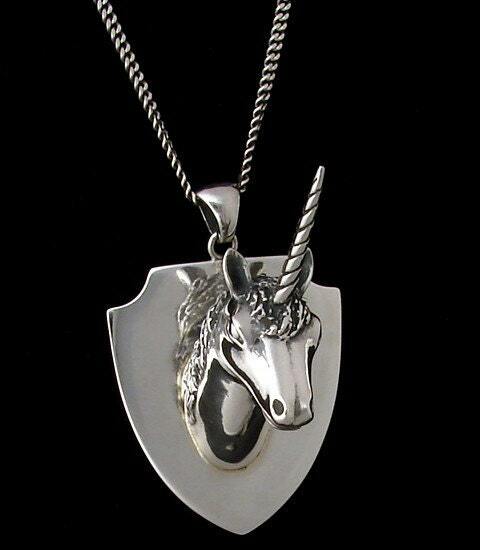 That would go well with Kenneth Jay Lane's mythical unicorn coat!